Earth Hour was famously started as a lights-off event in Sydney, Australia in 2007. Since then it's grown to engage more than 162 countries and territories worldwide. Earth Hour is much more than just switching off your lights for an hour; it promotes the idea that individuals can make a difference, no matter how small or big. You can get involved in the worlds largest environmental movement by turning off your lights for an hour (or the whole night), attending or hosting one of the many events, and by making the pledge to switch to renewable energy. When: 8:30pm, Saturday, 28 March, 2015. As people across the globe switched off their lights for Earth Hour, some very special awards were given to those going ‘beyond the hour’. 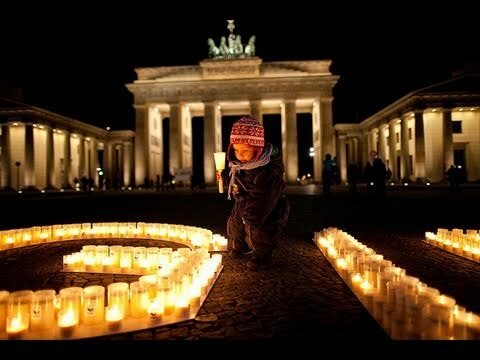 A record 134 countries and territories participated in the 2011 Earth Hour event on Saturday 26 March. Conceived in Australia five years ago, the event has become the largest voluntary action to be observed for the environment. At 8.30pm on Saturday 26 March, we’ll once again witness the largest voluntary action in our history – over one billion people worldwide simply switching off the lights. This Australian movement has taken the world by storm over the last four years. This year, participants are being asked what they’re doing to take initiative beyond the hour. Don’t forget to register at www.earthhour.org.